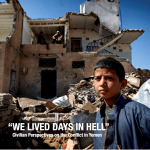 WASHINGTON (Sept. 3, 2015) – The increasing civilian death toll in Yemen, widespread damage to civilian homes and infrastructure, and growing displacement raise serious concerns about adherence to international humanitarian law (IHL) and the lack of precautions taken by parties to the conflict to protect civilians. Harm to civilians in Yemen is coming from all sides, including the Houthis, the anti-Houthi armed groups, as well as the Saudi-led coalition (“the coalition”). The US, which places importance on civilian protection, should condition its intelligence and logistical support to the coalition on urgent reforms to mitigate civilian harm. The US has an obligation under common Article 1 of the Geneva Conventions to “respect and ensure respect” for IHL by parties to a conflict. This general obligation is made more urgent by the close political, economic, and military cooperation between the US and Saudi Arabia, and strong US support for the campaign in Yemen. Saudi Arabia was the top purchaser of US arms in 2014, making it even more pressing that the US share best practices on civilian harm mitigation with its allies to ensure that its weapons and methods are not causing unnecessary civilian harm, especially in light of reports of civilian harm. 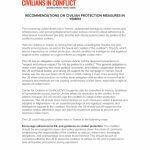 Center for Civilians in Conflict (CIVIC) supports calls for ceasefires in Yemen, facilitation of humanitarian access, and for UN-led efforts for resolution to the conflict. In the interim, however, the US should urge the coalition to adopt civilian protection measures. The US should share best practices on such measures–which it learned and adopted in Afghanistan—as an essential package of any logistical, weapons, and intelligence support to the coalition. Not least, the US should cut off support to the coalition unless affirmative steps are taken to implement policies to prevent and minimize civilian harm. 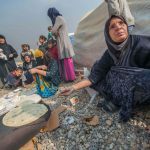 Encourage adherence to IHL and guidance on civilian protection: The coalition should be encouraged to issue clear policy guidance down the chain of command emphasizing the responsibility of the coalition to reduce civilian harm, investigate allegations, and acknowledge and assist those harmed. This should be part of concerted effort by the US to press the coalition to adhere to IHL and in particular to take all feasible precautions during operations. development of consequence management and amends guidelines for civilian casualty incidents. Guidance on weapons usage: Credible reports allege that the coalition has bombed residential areas in Ta’iz, Saada, and other civilian areas causing unnecessary civilian harm. Reports also document the use of cluster munitions—including those supplied by the US (CBU-105)— by Saudi Arabia in civilian areas. Cluster munitions are prohibited under the 2008 Convention on Cluster Munitions (CCM). Saudi Arabia and other members of the coalition are not members of the convention, but 117 states have joined the CCM. Current US policy bans export of cluster munitions if the unexploded submunitions rate is less than 1 percent, and requires the receiving country to agree that cluster munitions “will only be used against clearly defined military targets and will not be used where civilians are known to be present or in areas normally inhabited by civilians.” The US should urge the coalition to not use explosive weapons with wide-area effect in populated areas, as well as cluster munitions. Improve pre-strike assessments: The US should encourage the coalition to adopt the following pre-strikes assessment processes that take into account civilian presence. Tactical Patience: Tactical patience should be exercised when there is no immediate need to engage, in order to ensure there are no civilians near the military objective prior to engagement. This should include observing different intelligence, surveillance, reconnaissance (ISR) platforms, and audio-visual scans to observe for civilian presence. Any re-engagements of a target should have a verification process to avoid harming first responders. Current and vetted intelligence: Given the fluid nature of the conflict, current intelligence on military objectives is necessary to prevent civilian harm. Such threat/target information should include details on civilians in proximity to the military objectives to support commanders deciding whether to engage the target, or if more information is needed in order to avoid harming civilians. Undertake post-strike assessments and track civilian harm: The US should share best practices on assessing civilian casualties and damage to civilian structures, such as procedures on battle damage assessments (BDAs) and processes to investigate civilian harm incidents, including those originating from open sources and NGOs. The coalition should be encouraged to house this in a central civilian harm tracking database for analysis of tactics, to identify lessons in order to minimize civilian harm, and include results of investigations of allegations of civilian harm. These processes would also allow for oversight with regard to IHL compliance. Acknowledgment and assistance: The Saudi-led coalition should be encouraged to investigate all allegations of civilian harm and to create policies to acknowledge and provide assistance for harm, when operationally feasible. Violations of IHL should be investigated and appropriately handled through legal processes. Harm to civilians in Yemen is coming from the Houthis, the anti-Houthi armed groups, as well as the coalition. 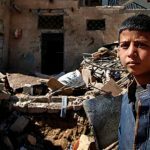 The United States, which prioritizes civilian protection during its own combat operations, must condition its support to the coalition in Yemen on urgent reforms to mitigate civilian harm. For further information please contact Sahr Muhammedally, Senior Program Manger for MENA and South Asia, sahr@civiliansinconflict.org. Download or View Report Here.